Today we review Slimaluma Plus manufactured by Now. 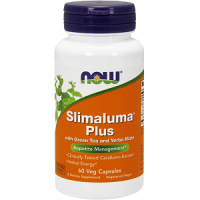 Slimaluma Plus claims to help you lose weight by inhibiting your cravings for food and fluids. 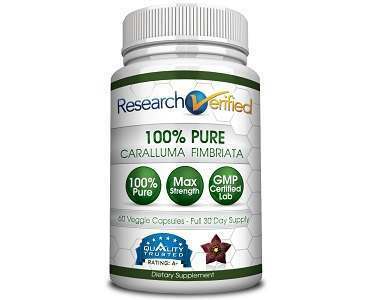 It contains an extract derived from the Caralluma plant found in India and Sri Lanka. This extract helps you to control cravings and also helps the body from forming new fat cells. If you are serious about losing weight and you are open to natural supplements that can help you on your weight loss journey, then read the rest of this review below. What’s in Now Slimaluma Plus? This product contains no wheat, gluten, soy, milk, egg, fish, shellfish or tree nuts, but is manufactured in a facility that may contain these allergens. All of these ingredients work together to dampen your food cravings and may actively help you to lose weight. Green Tea Extract is full of antioxidants and catechins that help to reduce belly fat. Yerba Mate Extract causes thermogenesis and also helps to suppress your appetite. Caralluma Fimbriata is very famous in India as a hunger and thirst blocker and helps your body to burn fat. 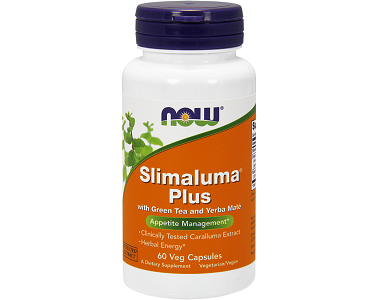 How Do You Use Now Slimaluma Plus? It is recommended that you take 2 veggie capsules before 2 meals every day. It is best to take each dose 45 minutes before the meal and by following these instructions you will get the recommended dose of 1000mg Caralluma per day. This supplement is not suited for children. If you are pregnant or nursing it is best to talk to your healthcare professional before taking this supplement. You can buy this supplement directly from the manufacturer’s website for $24.99. Each bottle contains 60 veggie capsules and will last you about 15 days if you follow the recommended dosage instructions. If your order has a value of $75 or more then you will receive free shipping. We could not find any further discounts relating to bulk purchases on the website. Seeing as this product will not even last you a full month we feel that it is rather expensive compared to other leading brands that offer similar products. Unfortunately, we could not find any guarantee or refund policies relating to this product on the manufacturer’s website. If you buy this product from a 3rd party retailer, then you may be eligible for a refund from that 3rd party seller. We are very disappointed by the lack of a decent guarantee policy and feels this shows a lack of confidence in the product’s abilities. This also means that customers are essentially taking a risk when buying this product. We like that this product aims to provide a natural solution to weight loss that claims to curb your appetite and burn fat cells at the same time. We also like that this product can be bought directly from the manufacturer’s website. However, consider this product to be expensive considering the recommended dosage instructions. The lack of a decent guarantee policy also makes us question the efficacy of this product.